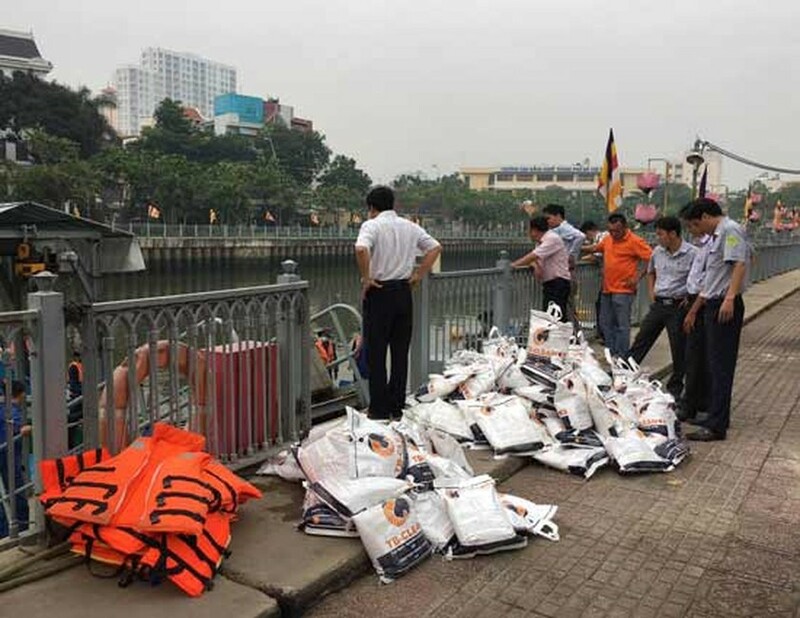 A total of 14 tons of fish including tilapia and carp died in Nhieu Loc-Thi Nghe Canal as of 5 p.m. on May 17 because of organic contamination and poisonous gas released from the first rain of the rainy season this year in Ho Chi Minh City, said director of the Agriculture and Rural Development Department Nguyen Phuoc Trung. At a meeting hosted by the Propaganda and Education Board under the city's Party Committee to announce the dead fish condition in the canal yesterday afternoon, Mr. Trung said that content of NH4, NH3 and PH exceeded permissible levels. 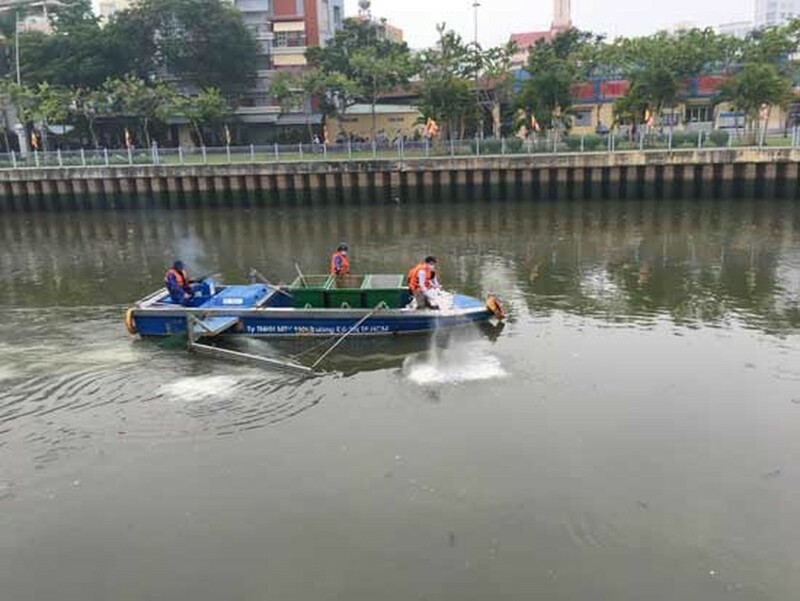 Answering media about the fish death that has taken place for the last several years in the early of rainy season but the city has yet to tackle the issue, Mr. Trung said that initial measure is to intensify spread of bio-products into the canal. A ton of zeolite powder and bio-products had been spread into the canal since yesterday morning, he said. Long term solution is to separate household sewers from the canal. In addition, a drain system should be built alongside the canal to regulate and cleanse rainwater. HCMC Urban Environment Company has mobilized all workers and facilities to collect dead fish as soon as possible to prevent further pollution from affecting residents’ lives, said director of the company Huynh Minh Nhut at the meeting. Director of the Natural Resources and Environment Department Nguyen Toan Thang said they have instructed related agencies to focus on the collection of dead fish. 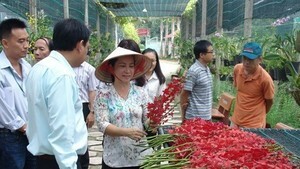 Permanent deputy secretary of the HCMC Party Committee Tat Thanh Cang has sent a document asking the city People’s Committee to instruct related agencies to solve the fish death, ensure environmental hygiene along the canal and report to the Party Committee any problem arising from the incident. Talking to Sai Gon Giai Phong Newspaper about causes of the fish death, Associate Professor Phung Chi Sy, director of the Environmental Technology Center under the Vietnam Association for Conservation of Nature and Environment said that fish and shrimp need the dissolved oxygen content of water of over 4mg per litter to live healthily. 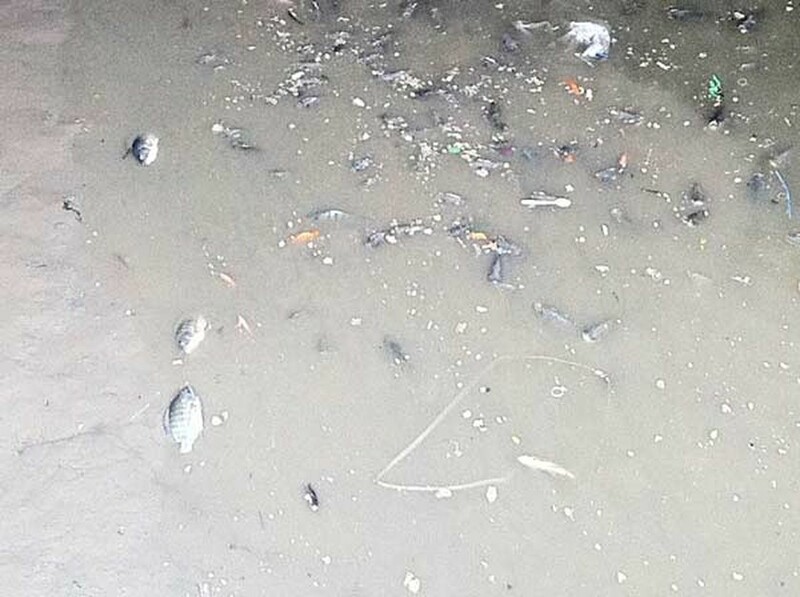 When rains fall down, organics from the mainland flow into the canal sharply reducing the oxygen content supply to fish and causing them die of suffocation. Hence, fish usually come to the water surface to breathe after heavy rains. In addition, rainwater has facilitated the combination of pollutants from the mainland and from the muddy bottom of the canal to kill fish, he added.